A slight snafu with a passport meant that Sue and Holly headed off on holiday to the Netherlands without Emily and I on Friday. 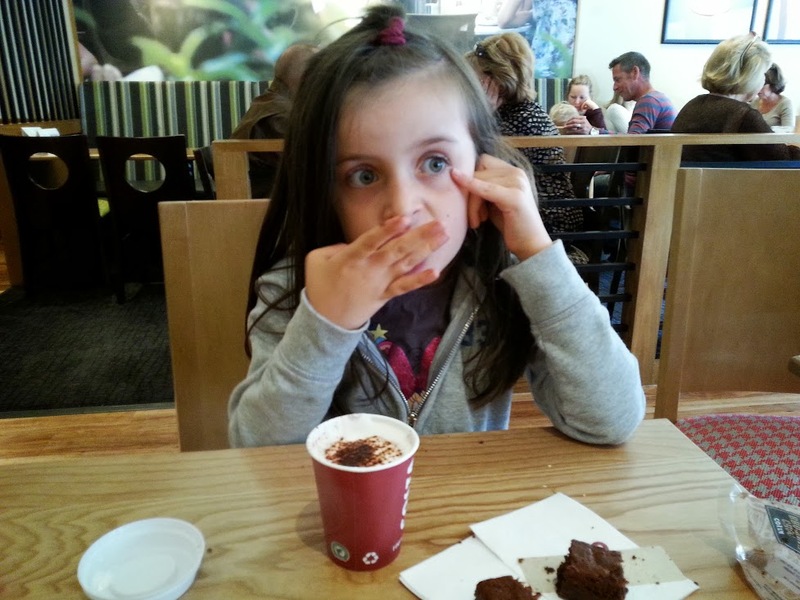 Emily enjoying a babyccino at Costa. This actually worked out quite well, as I think Emily was feeling a little neglected and in Holly's shadow. Being away from her might be good (even if only for a few days) as she would have my attention 100%. I've not been so hugged or interacted with by her in such a long time. We did a few errands together over the weekend, went to a couple of parks and even had Sunday morning "coffee" together at Costa. One thing I'd been trying to get Emily to do over the weekend was to put her own nappy and trousers on. She can do shoes and (to some extent) tops over the head. She managed her trousers by herself on a couple of occasions. These successes were met with smiles, thumbs up and high fives. On at least one successful attempt, I actually got a smile and eye contact from an elated Emily. It wasn't all fun though. There were a number of attempts where she started but go distracted by ... anything. If it wasn't so tragic, it would be comic watching someone try to clothe themselves with absolutely no interest in it, to the point of staring aimlessly out the window. Not only do I have to pick my battles, I have to pick where I play them out.